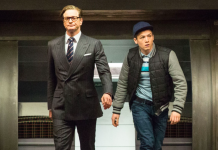 Colin Firth’s character may return for Kingsman: The Secret Service sequel! Colin Firth and his character Harry may be returning for Kingsman: The Secret Service sequel. Colin Firth who plays Harry Hart in Kingsman.